KVS Class 1 Admission First Merit List 2019 Results, Selected Shortlisted Candidates list pdf: Kendriya Vidyalaya Admission has started the admission process a few days back. This year the KVS received thousands of applications from aspirants seeking admission in various classes. KVS Class 1 admission process also took part 1st March to 19th March. During these days the KVS received a larger number of applications for admission into class I. While the admission will be offered based on several constraints, the KVS will announce the selection list of candidates who satisfied the eligibility criteria. The KVS announced that the class 1 admission result will be announced on 26th March. Hence the applicants can get ready to check the KVS Class 1 provisional selection list on 26th March. The list will be available on KVS website, kvsangathan.nic.in. The applicants can visit the portal to check the KVS 1st Class admission list. 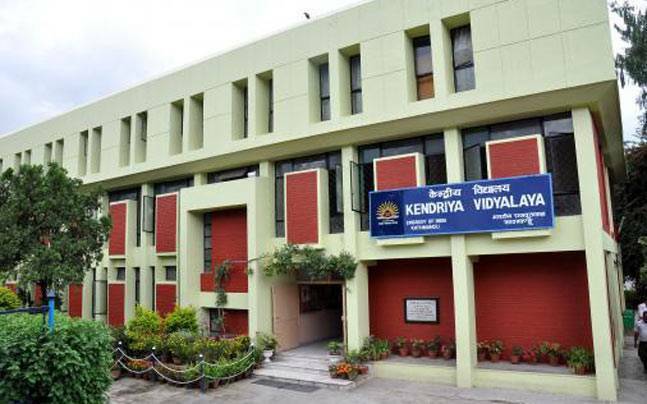 KVS Class 1 Admission Selection List 2019 PDF Download: Kendriya Vidyalaya Sangathan (KVS) is the central government school that spread in many cities across India. Not only in India, but the KVS also having 3 of its schools functioning in abroad. Overall, 1193 schools were functioning in India and abroad. This is one of the most popular educational organization that many students aspiring to get admission. KVS every year offers admissions to students based on the number of seats. Students with good merit will be filtered to get admission and also children of central government employees will get admission in KVS. Overall, the KVS admission process is curtailed and children will get admission on a priority basis. Initially, KVS is coming up with the class 1 provisional selection list on 26th March. And the 2nd provisional selection list will be released on 9th April and the 3rd provisional list will be released on 23rd April respectively. Hence the date is announced, all the applicants can get ready to download KVS 1st class selection list. Visit the KVS portal, kvsangathan.nic.in to check more details. KVS Selection list contains the following information. Also, along with the selection list, the KVS will announce the waiting list. The names mentioned in the waiting list will have the chance for the next rounds of the selection process. Candidates who meet all the requirements and eligible for admissions will be listed in the waiting list. The KVS Class 1 waiting list will also be displayed on the KVS Admission portal, admission.kvs.gov.in. Check the details by visiting the portal. Kendriya Vidylayas will release the first merit list for admission to class 1 today. As per the data shared by the Kendriya Vidyalaya Sangathan a total of 7,95,121 applicants have registered for more than 1 lakh seats. A total of 1202 Kendriya Vidyalayas will release the first admission list today for enrollment to class 1. The second and third merit list, based on the remaining vacant seats, will be released on April 9 and 23. Latest News 26/03/2019: KVS Admission Class 1 1st Selection List/Result/Merit List 2019 Released at respective KV school Notice Boards. Check with school notice board for selected student list for now. Check below for school wise KV admission list. We will upload Official Class 1 Admission Selected Candidates list here after keep in their official website. Until Keep refresh this page for latest update. We will upload KVS merit list 2019 here after official released on website. How to check the KVS Class 1 provisional First selection list result online? On the homepage, you will find the “Admission Status” link. Click on the link and enter the “Registration Number”, which is Unique Application number that was generated at the application time. Now, click on the Go button. KVS Class 1 admission list 2019-20 will appear on the screen. Check the list to find whether your ward’s name listed in it. The information contains the ward’s name, father’s/mother’s name, register number, admission status, and other details. Kindly update the selection candidate list other wise help us for taking list direct from website there is no option available for taking list.